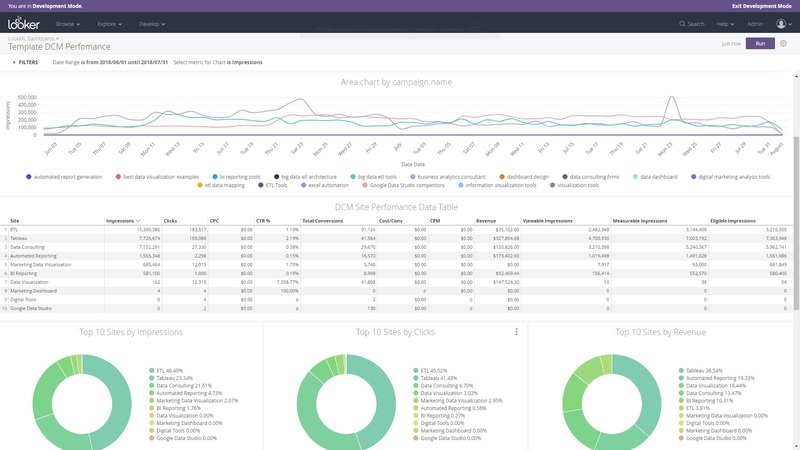 Improvado automatically collects all of your marketing data and sends it into your Looker dashboard. Improvado has over 90+ granular integrations with marketing platforms. No data science or SQL knowledge required. 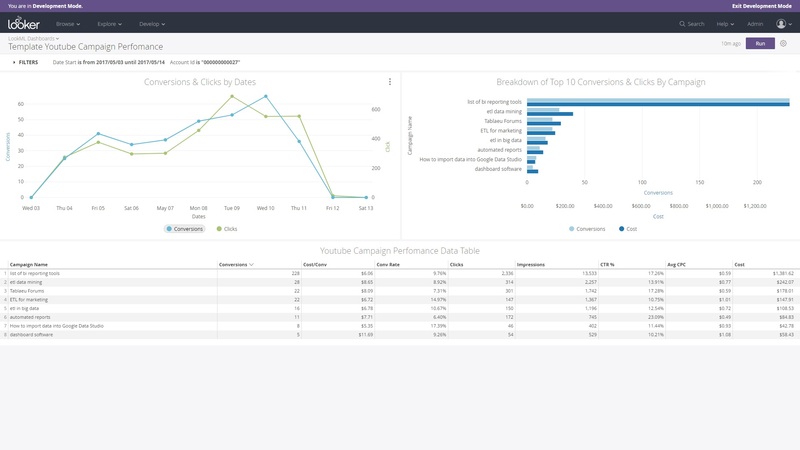 Sync hard-to-extract data sources like Snapchat, LinkedIn, and Sizmek. Extract data via API, FTP, S3, CSV Uploads, Google Spreadsheets or email. Dedicated Customer Success Manager included. Understand your company’s marketing performance from a birds-eye-view or get granular all the way down to specific channels, ads, creatives or keywords. 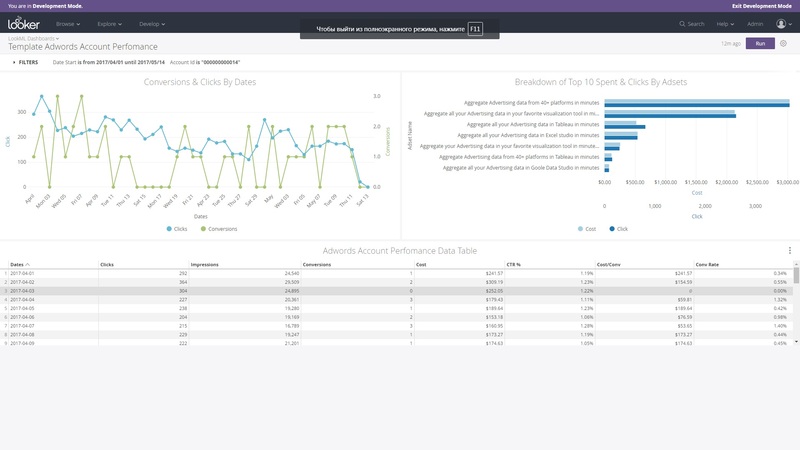 Quickly identify performance outliers to address red flags and replicate success. 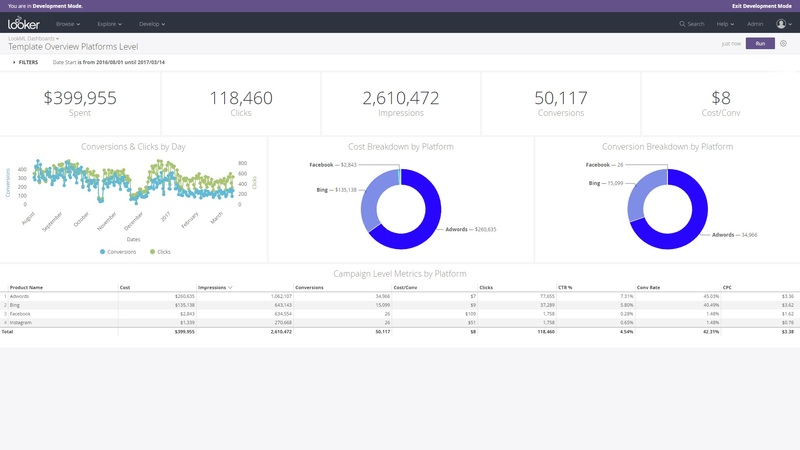 Gain clarity into your cross-channel activities with granular KPI data from every major social media, search engine and display platform. 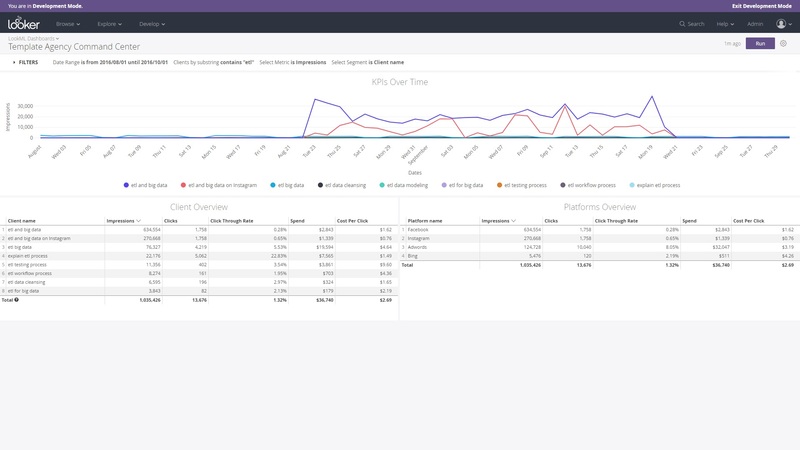 For marketing agencies to monitor aggregate client & platform performance.